Over the last few years, the United States has not had the best track record with Deep Geologic Repositories (DGR) for nuclear waste. 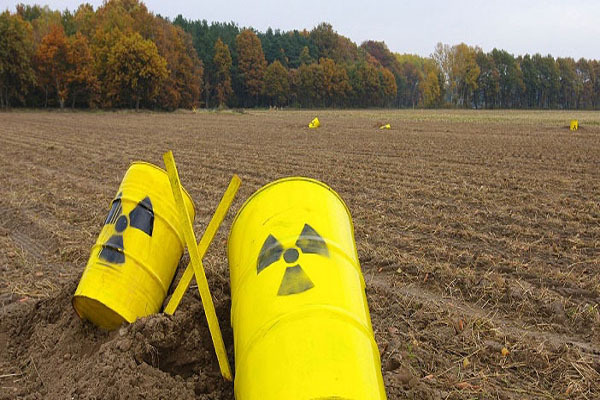 In February of 2014, the U.S.’ DGR, known as the Waste Isolation Pilot Plant (WIPP), had two separate incidents that compromised the integrity of the project by releasing airborne radioactive contamination. While most U.S. citizens were relatively unaffected by the events, our Canadian neighbors have proposed a plan to construct a DGR 0.6 miles from America’s largest source of fresh water, the Great Lakes — and the U.S. State Department is remaining relatively uninvolved. In 2004, Ontario Power Generation (OPG) signed an agreement with the mayor of the Municipality of Kincardine that detailed the million-dollar payments OPG would make to Kincardine and four other shoreline municipalities for their support in the construction of a DRG. On December 2nd, 2005, OPG submitted a proposal to the Canadian Nuclear Safety Commission (CNSC) to construct a long-term DGR for low and intermediate level nuclear waste on the Bruce Nuclear site within Kincardine. Bruce Nuclear is situated on the banks of Lake Huron — the same Lake Huron that borders the state of Michigan. The aforementioned environmental groups are not the only constituents fighting against the DGR. In the United States and Canada, 169 resolutions have been passed against the DGR. Further, U.S. Senators Debbie Stabenow and Gary Peters have co-introduced the Stop Nuclear Waste by Our Lakes Act. The act calls for the State Department to invoke the 1909 Boundary Waters Treaty, mandating a study of OPG’s plan by the International Joint Commission. Please stand up and make your voice heard to stop this insanity. Thank you. Watch As Amazing GcMAF Treatment KILLS Cancer Cells In Real Time… Holistic Doctors ‘Suicided’ Over This Stunning Breakthrough! Fhuck the Media. They need to be sued for not doing their job! Canada & USA MAKE the waste but have problems disposing of it! Canadians need to wake up and take their country back as the Americans should. Will this happen? LOL If you can get them away from the TV long enough! Our children’s futures are so doomed.. thanks to our ignorance!